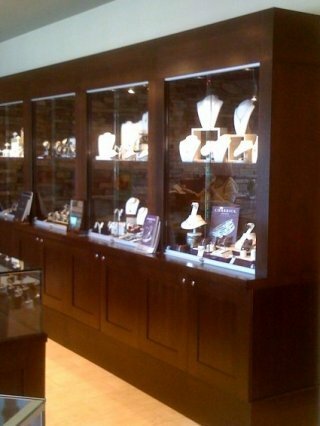 Cutting Edge Cabinetry manufacuters and installs high-grade commercial millwork. We provide custom cabinetry, store displays, interior doors, and mouldings as well as custom interior storefronts. Our custom solutions can meet the needs of any commercial space, from the most practical to the most luxurious. Thank you for shopping at Cutting Edge Cabinetry!